When fighting a pathogenic disease, such as Lyme disease, adding more toxic chemicals to your body will only slow the healing process, and may continue to make you sicker. At the very least, avoid animal products that contain antibiotics and hormones. These cause severe diseases and illnesses including but not limited to Cancer, Diabetes, Candida, infertility, children born with defects and illnesses, to name a few. How these are even legal at this point is beyond me..
1) Organic farmers do not use synthetic fertilizers on their crops. Organic farmers do not use synthetic fertilizers on their crops. Instead, they apply natural fertilizers, such as compost, to feed plants and keep soil healthy, nutrient rich, and sustainable. 2) Organic farmers do not use harmful insecticides. Organic farmers do not use harmful insecticides to prevent disease or pests. Instead, they use beneficial insects and birds, and plant pest repellant herbs and plants to reduce this. 3) Organic farmers do not use harmful herbicides or weed killers. Organic farmers do not use harmful herbicides or weed killers to manage unwanted weeds and plants. Instead, they rotate crops, till the soil, hand weed, and use natural methods to manage weeds. Crop rotation also helps to sustain nutrients in the soil. 4) Organic farmers to not give their animals genetically modified grains, antibiotics, or growth hormones. Organic farmers to not give their animals (for meat, dairy, or eggs) genetically modified grains, antibiotics, or growth hormones in order to prevent disease and create unnaturally large animals. Instead, they feed their animals a natural balanced organic diet, allow them free access outdoors, and keep their living quarters clean. 5) Organic is designed to be in its natural state, as if it was grown in the wild. The big difference between Organic farming and Commercial or Conventional farming is Organic is designed to be in its natural state, as if it was grown in the wild. This not only helps sustain the earth, water, and avoid pollution, but it provides food that is also in its natural state which our bodies are designed for. 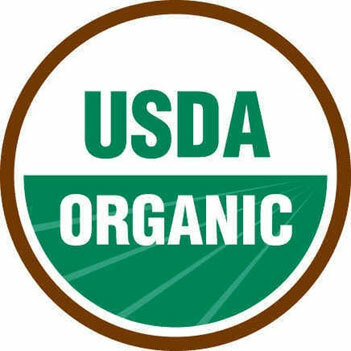 Organic farmers are required to be USDA certified which requires them to adhere to strict government standards and regulates how the foods are grown, handled, and processed. There are no such high standards for Conventional farming. In fact, if you look into the manufacturing practices of your largest commercial producers, you will be appalled at the amount of harmful chemicals used, the treatment of the animals, the conditions your food is processed in, the destruction of our farm lands and water supply, the pollution created, the lack of labeling of genetically modified and irradiated food, and the bullying and scare tactics they use against small, local, and organic farmers (see the Processed Food page). 7) Organic farming is not a “new” type of farming. Organic farming is not a “new” type of farming. It is a return to natural farming that used to be the way conventional farmers produced food as recently as the 1940’s. It’s getting back to the way it should be. 8) Buying Organic is cheaper than paying for medical care due to poor diet. Price is not really an issue when you consider the amount of money you spend treating the symptoms and illnesses that are caused by consuming all of the harsh and unnatural products that modern conventional farming provides. Plus, once you give up fast food, junk food, the freezer aisle and prepackaged foods in a box, you’ll be surprised how much money you save. Besides, if more people support Organic farming, eventually, the prices will lower, and our food supply will help sustain the earth, the water, and the air! I often tell people who ask me about Organic to try a taste challenge. Go out and purchase one of each Organic and Conventional carrots, apples, and tomatoes. Give you and your family a blind taste test, and see which ones win. I guarantee Organic will win every time. If you have trouble finding Organic food in your area, try your local farms and talk to the owners. Many of them do not use antibiotics or hormones, and use minimal pesticides or natural pesticides on their produce. For cost efficiency, if you have a large freezer, you can buy a whole cow (or split it with some neighbors) have it butchered and freeze for the whole year. If you get creative, you can usually find a way to make it work. You can also order many of these products online and have it delivered to your door. In some areas, like California, many local farmers allow you to join and receive a box of produce weekly for a very low price, and it is usually picked 1-2 days before. If you need help finding local and organic farmers in your area or would like to learn more about Organic farming, I have provided resources and links. If you have links you would like to share, please see my Contact page and send them to me! To do your own Organic Gardening See the Prevention pages. If you don’t see a Certified Organic Seal…chances are it isn’t Organic.